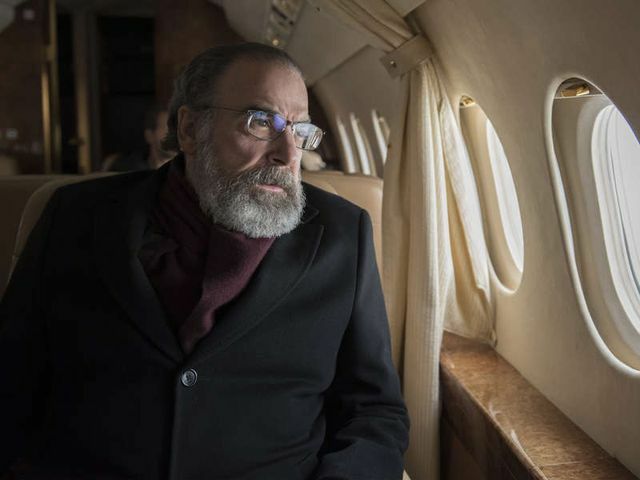 On the latest episode of Homeland, Saul’s (Mandy Patinkin) mission was a go. 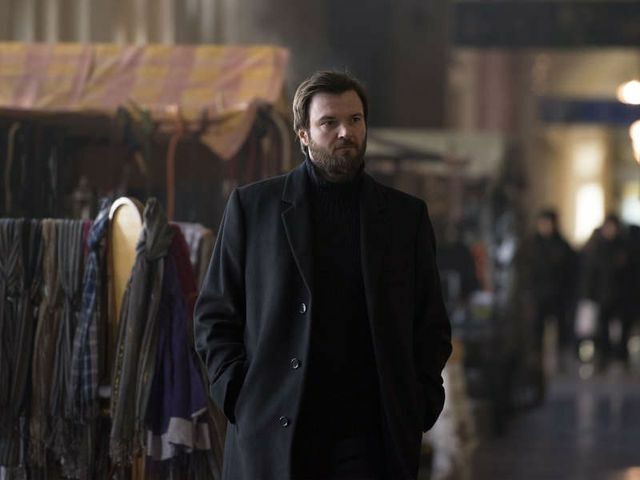 The episode opened up with the plane carrying Saul, Carrie (Claire Danes), Anson (James D’Arcy) and the team landing in Moscow. 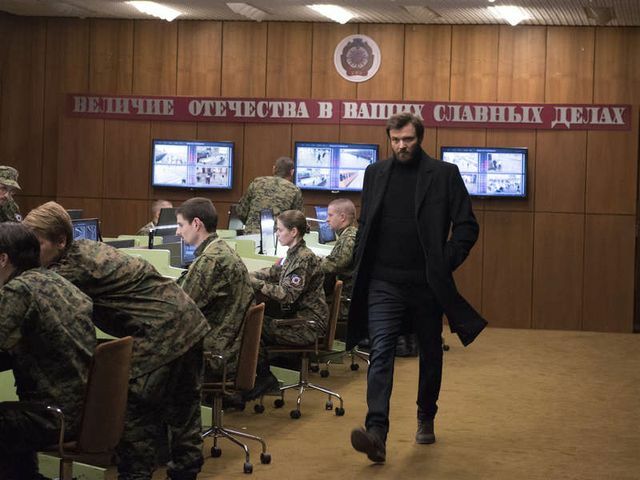 The Russians, Mirov (Merab Ninidze) and Yevgeny (Costa Ronin) watched via video feed to see who departed the plane and identified them as they did. Meanwhile, back in the US, Senator Paley (Dylan Baker) paid a visit to a high security prison. There he met with Dar Adal (F. Murray Abraham) to ask for help in working out what Saul and his team were up to. Dar suggested Saul would have his own team running the mission and that Paley should look into experts on Russia. Payley’s Chief of Staff, Janet Bayne (Ellen Adair) paid a visit to Saul’s tech guy Clint (Peter Vack). 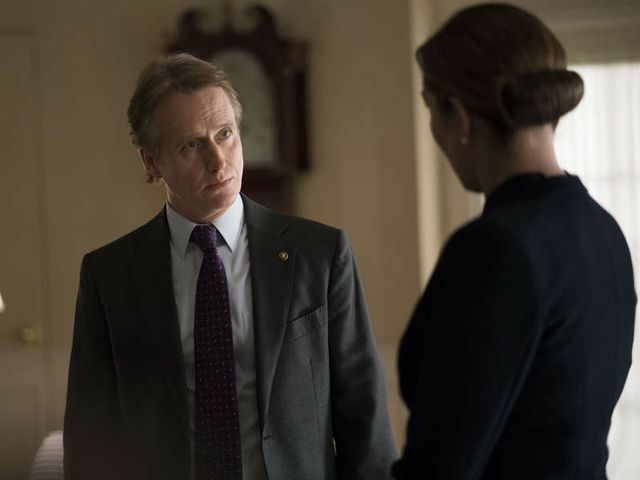 She told him she knew most of what they were up to but wanted to know the real reason Saul was in Moscow. Clint said it was to talk about Russian operations in the US. 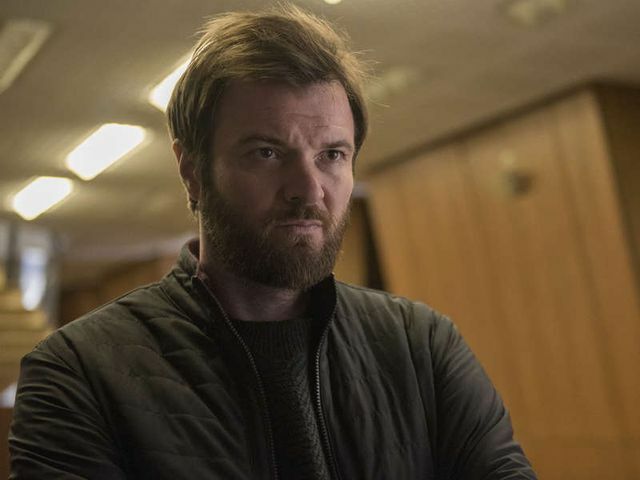 After threatening Clint with legal action, he gave up the real mission – to retrieve Simone Martin (Sandrine Holt). 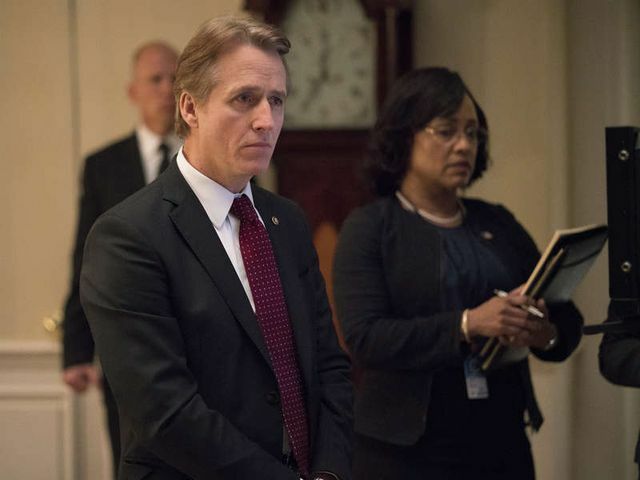 Janet went to Paley and told him he needed to leak the information to the Russian ambassador, Viktor (Elya Baskin). She’d even gone ahead and arranged for Viktor to expect Paley. Janet knew it would sabotage the mission but Paley did nothing, instead she spoke to Viktor herself. Back in Russia, Saul and his team arrived at their hotel. They got straight to work on unpacking their equipment and setting up a safe tent to run the mission. Next they sat down with Mirov and representatives from the GRU and SVR. Saul put an immediate stop to the meeting and insisted that Yevgeny be present. The Russians’s obliged and Yevgeny joined them. This part of Saul’s plan worked perfectly and left Simone exposed with little security. 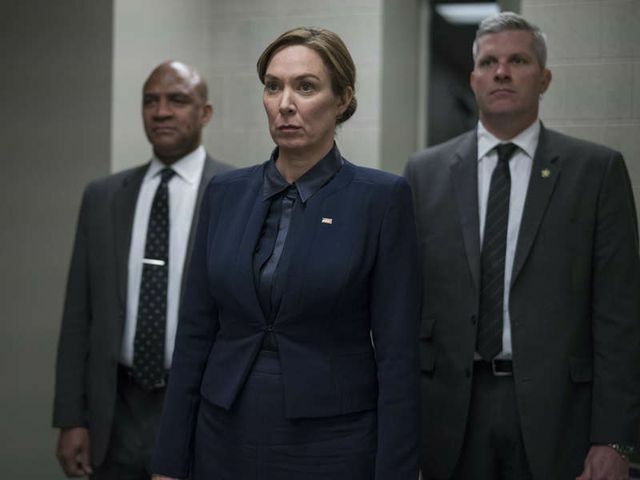 Saul and Carrie accused Yevgeny of involvement in the deaths of Dante Allen and General McClendon. They also said he had leaked the fake news that caused the Lucasville massacre. 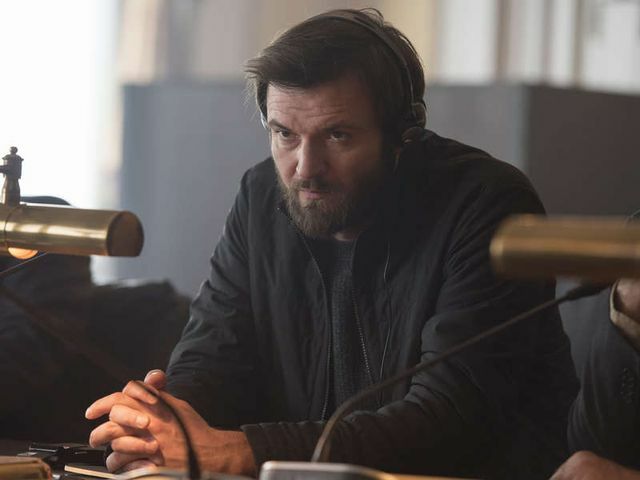 Yevgeny denied the accusations saying he had been in Russia. Carrie responded with the accusations again and backed them up with photo evidence for each. 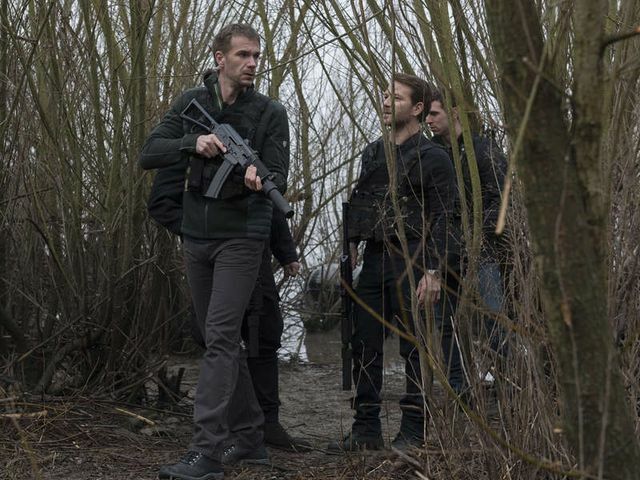 While they kept Yevgeny engaged, Anson and his team made their move on Martin. They got into the safe house but it was a trap and they were ambushed. One of the team was killed, leaving Anson and the rest to fight their way out and flee in a stolen car. The mission failed and Saul wanted to leave. Carrie wasn’t for giving up though and came up with a new plan. She wanted to focus on the differences between the SVR and GRU. They focused on General Yakushin (Misha Kuznetsov) who had $300 million in US banks. They cleared out his bank accounts and Saul told him he could have his money back if he delivered Martin. 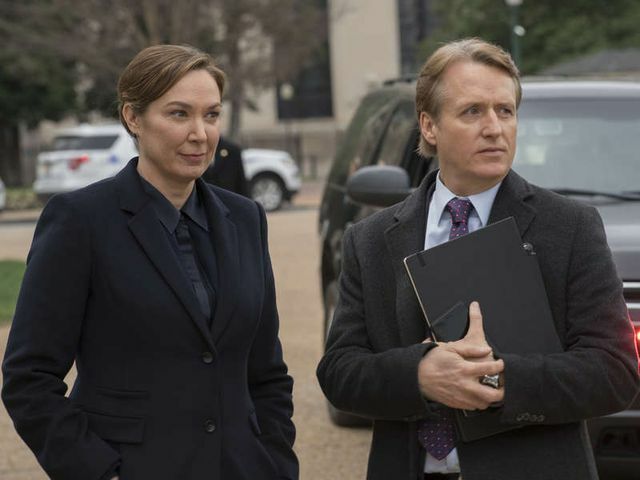 Back in the US, Wellington (Linus Roache) informed President Keane (Elizabeth Marvel) that her firing of the cabinet members was ruled illegal. Vice President Warner (Beau Bridges) relieved Keane of her command. In Russia, Yakusin went crazy and assembled a small army at his base. They stormed Mirov’s building where Martin was being kept and began dragging people out and lining them up in the street. A furious Yevgeny left Martin inside and went off to try and deal with the attack. In the US, Max (Maury Sterling) came up with an idea to broadcast the Russian situation onto the Internet. During the chaos, Anson and the team, including Carrie, made it inside the building. Max then guided Carrie towards Martin which included going out of a window and across the front of the building to get to her balcony. At the end of the episode, Carrie and Martin faced off with guns until Carrie convinced her she’d be safer back in the US. As Yevgeny came back for Martin he saw her fleeing the building into a waiting car. Will they be able to get her back to the US to save Keane’s presidency?